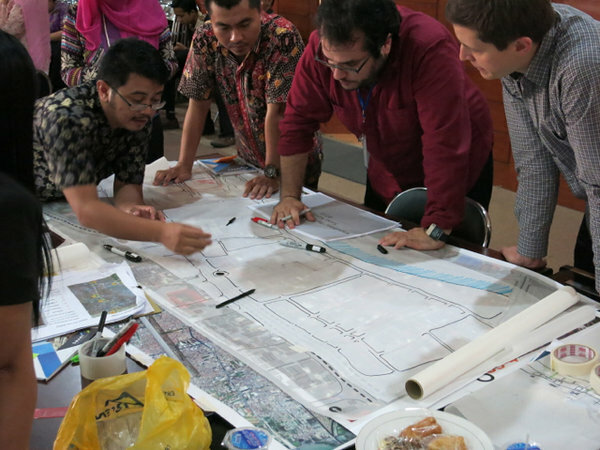 government members, professional planning practitioners, and academics, working collaboratively as part of the City Planning Lab Initiative in Indonesia. 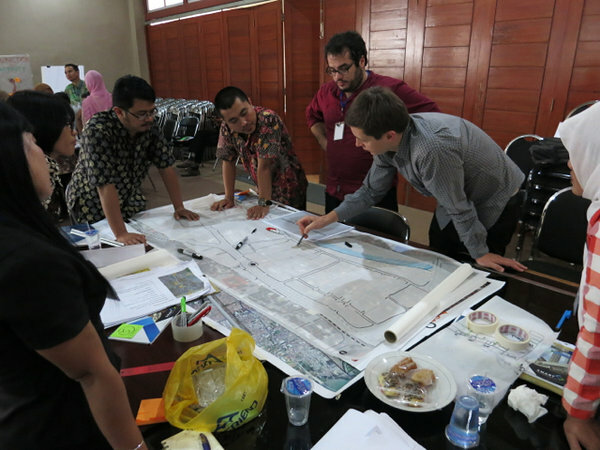 In each three-day workshop, participants worked together in groups to analyze the existing site conditions and proposed ideas for future improvements and redevelopments. 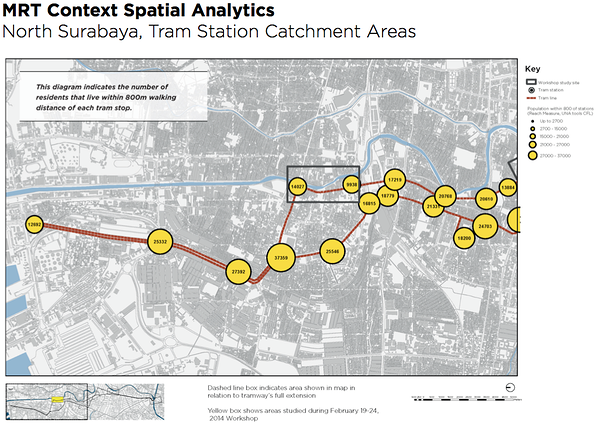 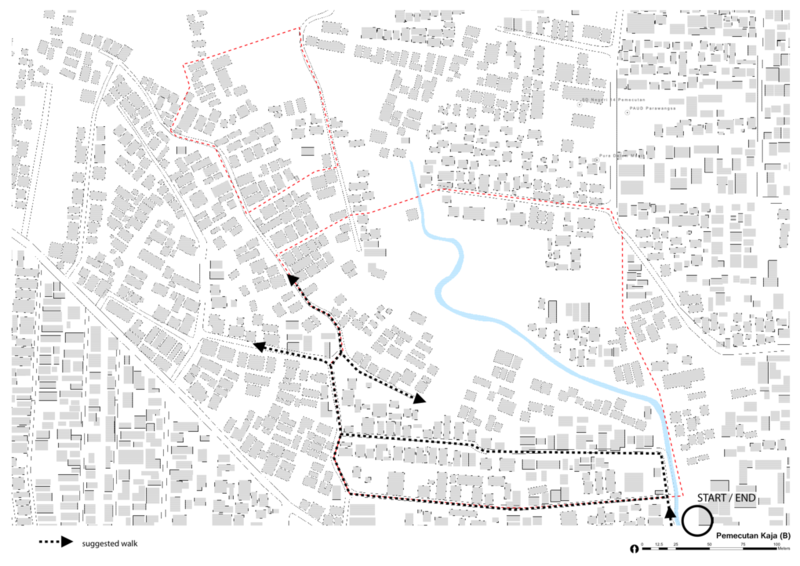 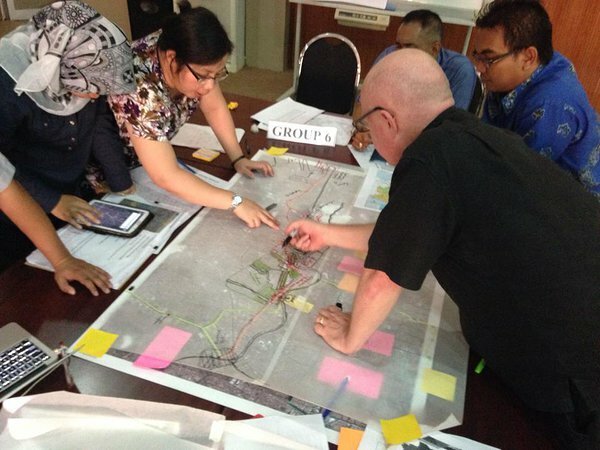 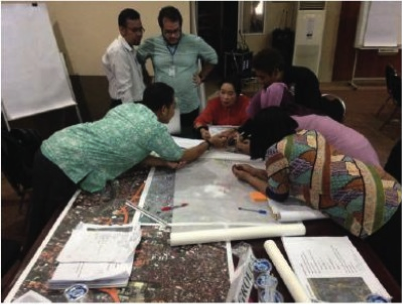 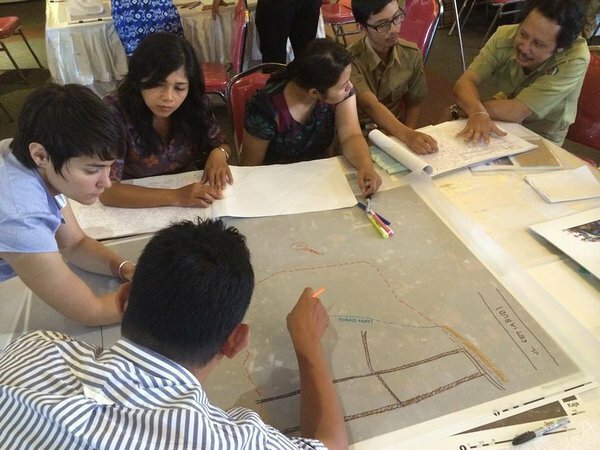 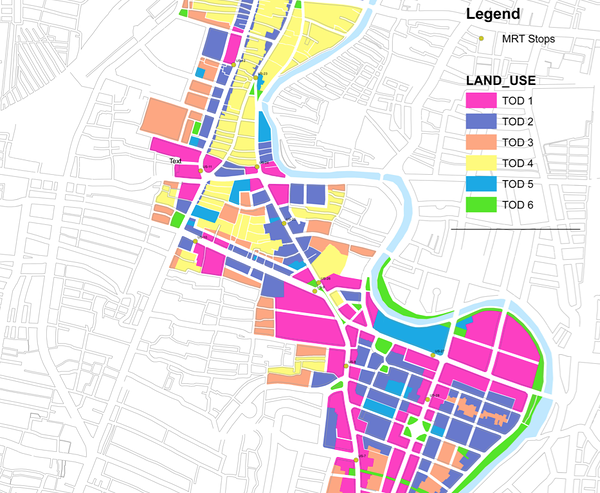 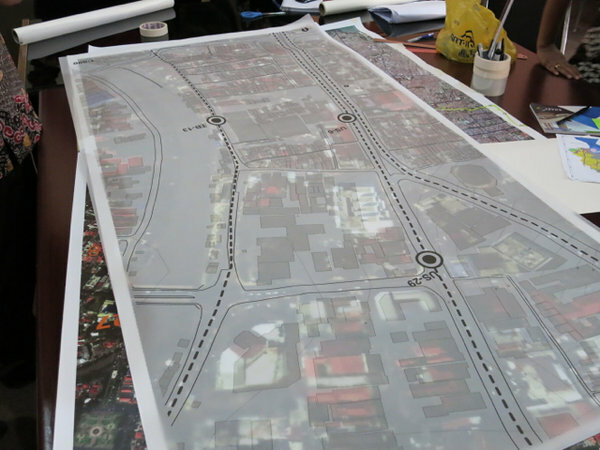 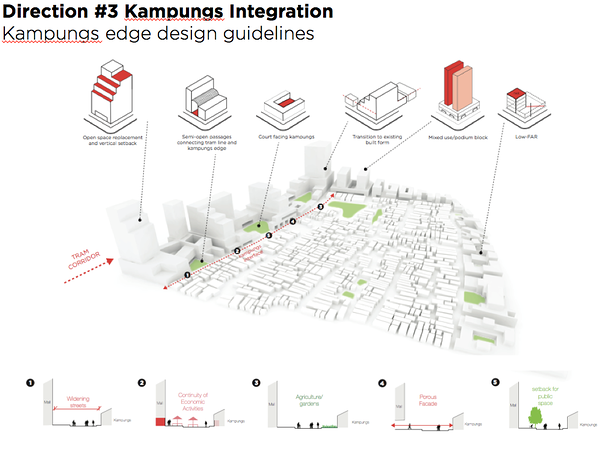 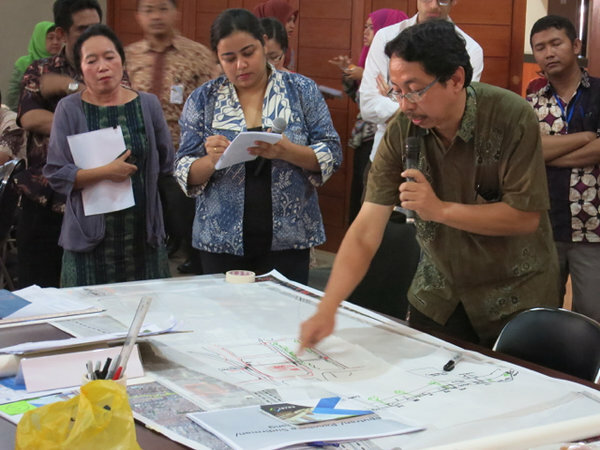 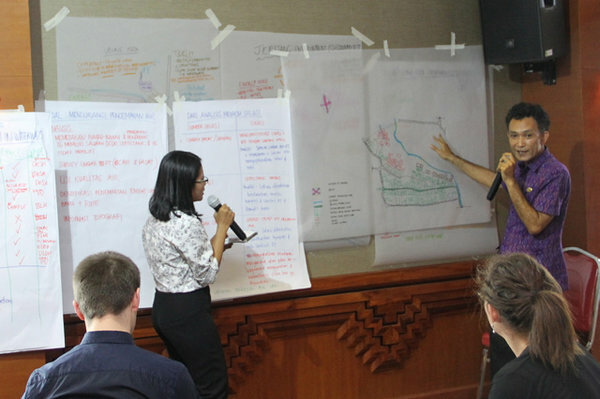 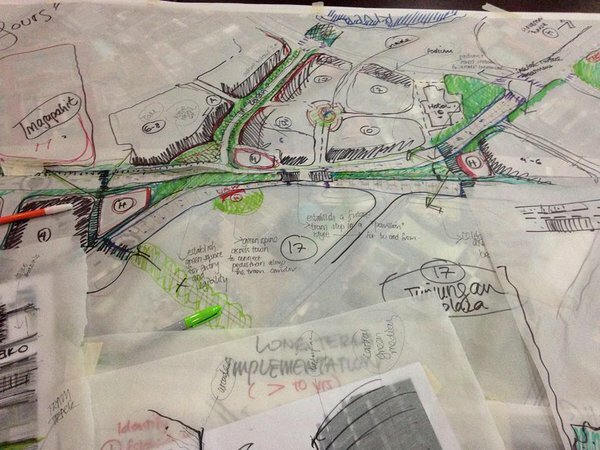 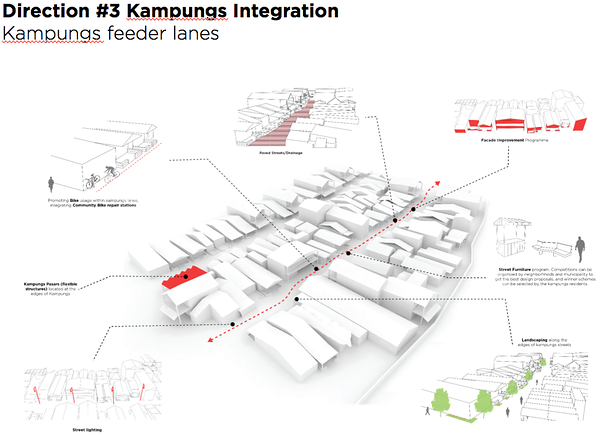 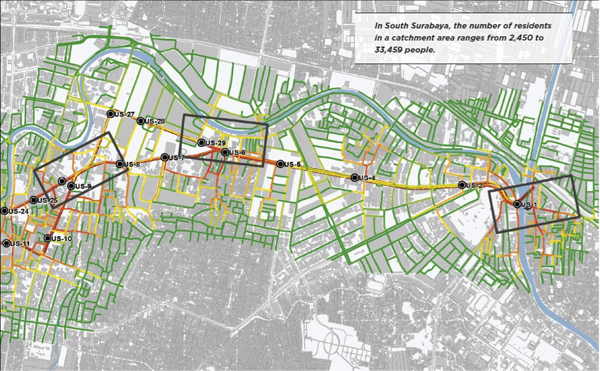 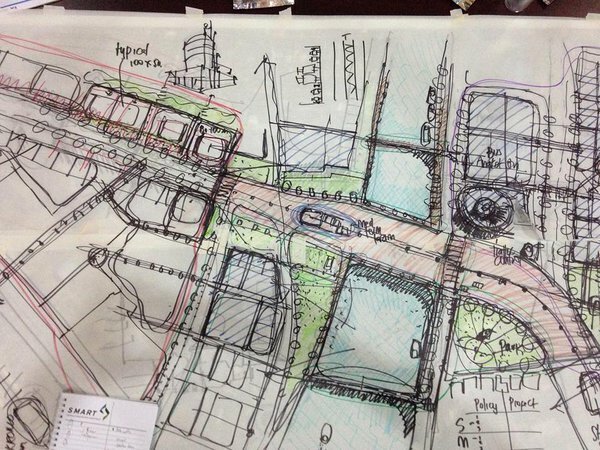 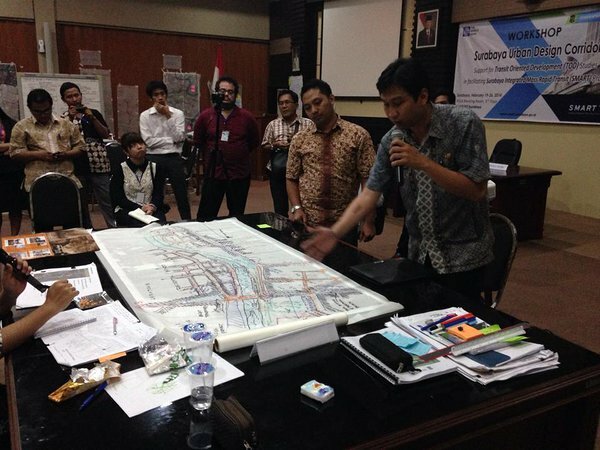 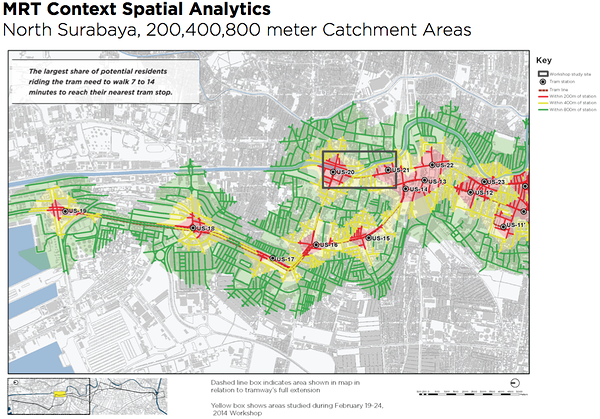 In Surabaya, the workshop invited participants to envision a transport oriented redevelopment corridor around the proposed north-south tramway in the city center. 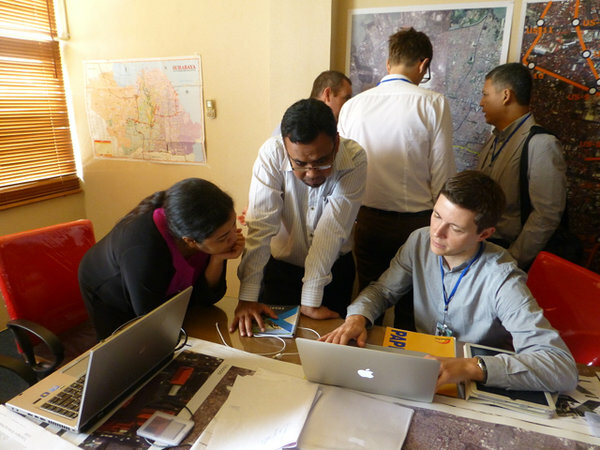 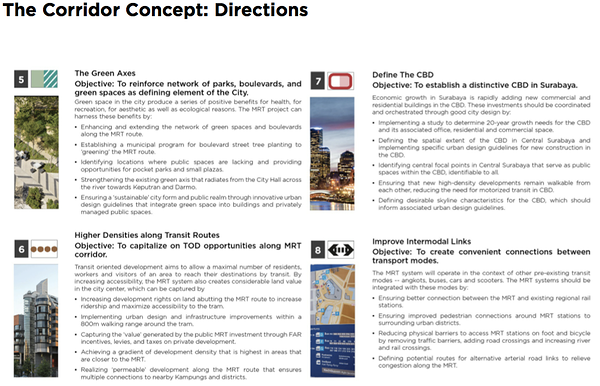 The workshop was part of a 10 day Transportation Corridor Development mission involving the City Form Lab, Hansen Partnership and World Bank staff. 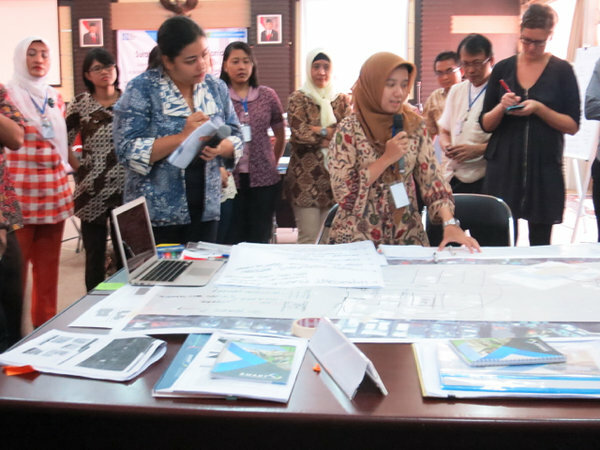 In the days immediately following the workshop, the City Form Lab and Hansen Partnership synthesized the ideas and materials that resulted from the workshop into a preliminary report, which was presented to the Mayor of Surabaya, Ibu Risma. 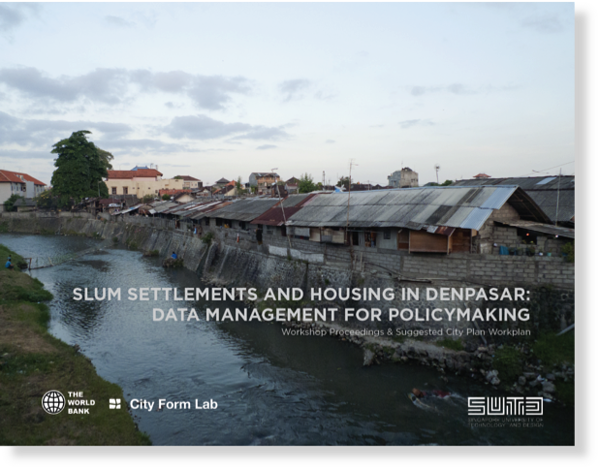 In Denpasar the workshop addressed housing and slum settlement issues from the perspective of evidenced-based planning and data management. 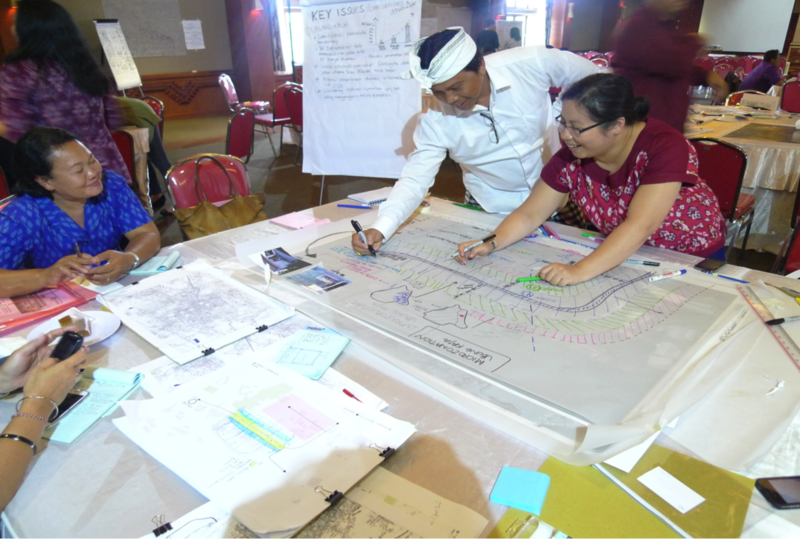 Presentations familiarized city leaders, local experts, academics and community members with CPL activities, while facilitated exercises sought participants’ local knowledge regarding slum settlements and their upgrading efforts. 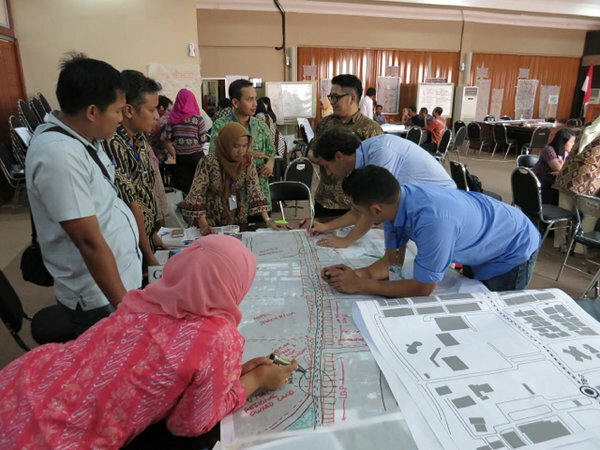 The city planning department, Bappeko, hosted the event, provided space, made transportation arrangements for the site visits, and invited government officials from across different departments and a local university to participate in the three-day workshop. 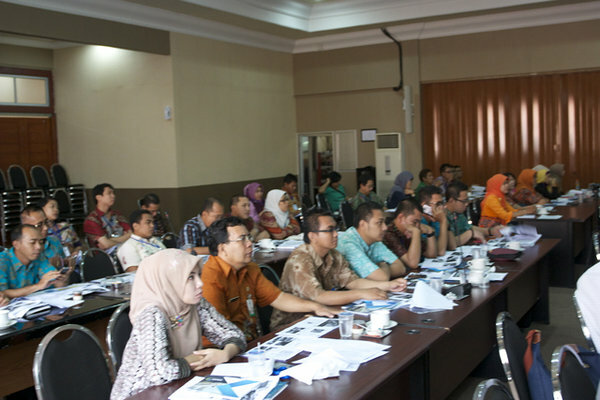 The World Bank provided financial and logistical support for the workshop and invited technical experts. 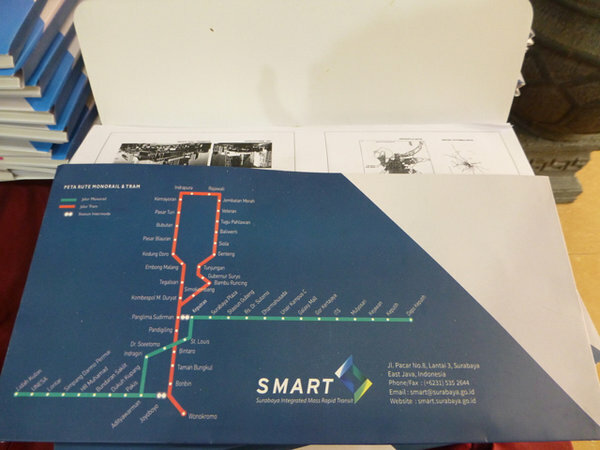 The City Form Lab used data provided by the city government to prepare a series of visual print materials for individuals and groups to work with. 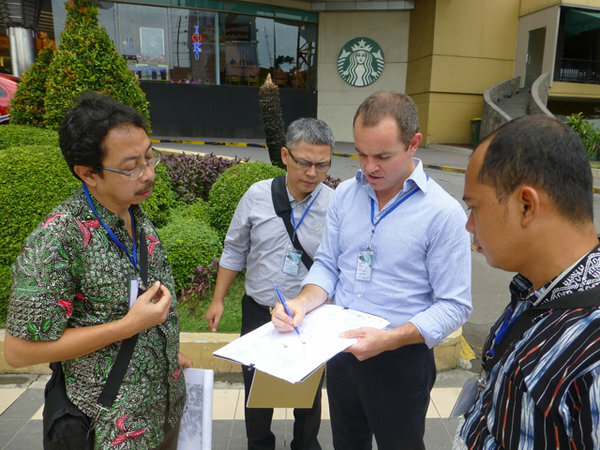 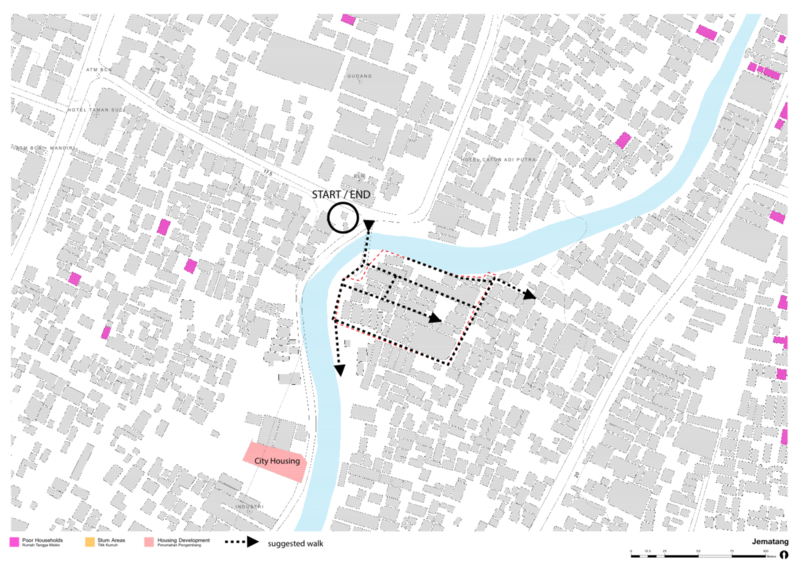 A packet of maps, clipboards, and drawing pens were provided for note taking by individuals during site visits. 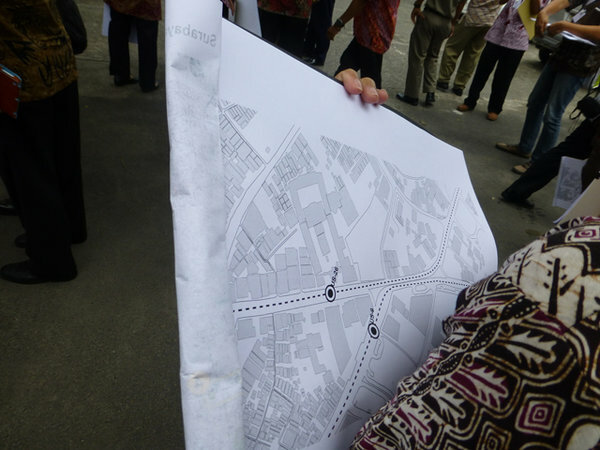 Groups were provided with geospatial information printed in large format on tracing paper, along with blank tracing paper, so participants could layer existing information and draw ideas enabling a combination of verbal and visual information for communicating and working together dynamically. 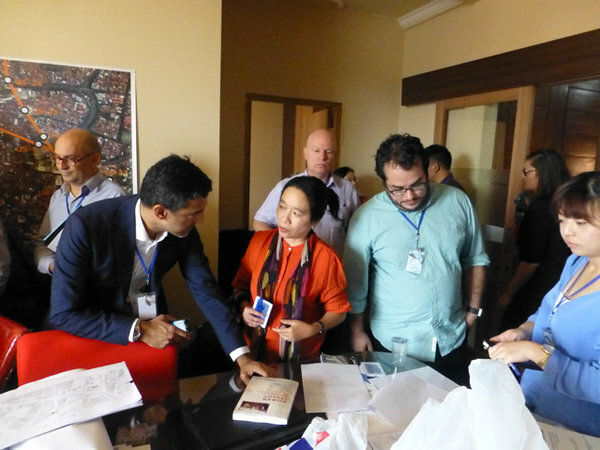 Technical experts flew in from different international locations and gathered in advance of the workshop commencement to plan and prepare for coordinated group facilitation. 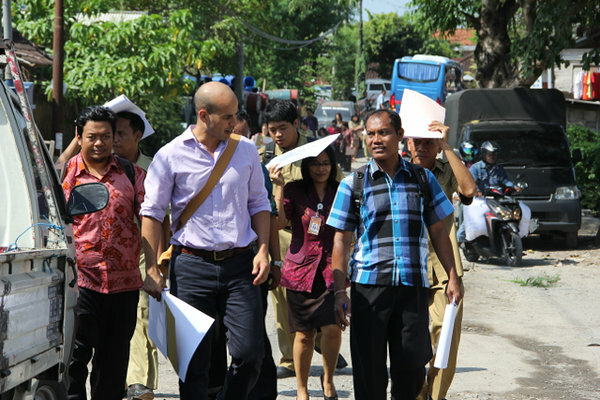 Translators were arranged so all information could be conveyed in Bahasa Indonesian and English. 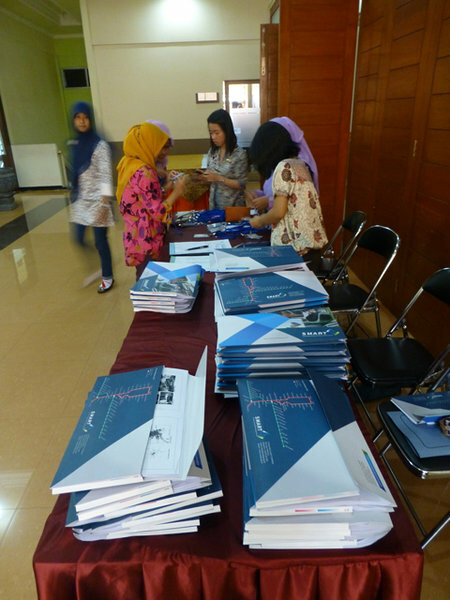 Print packets with workshop information, including the schedule, group participant lists, and presentations were provided to all participants. 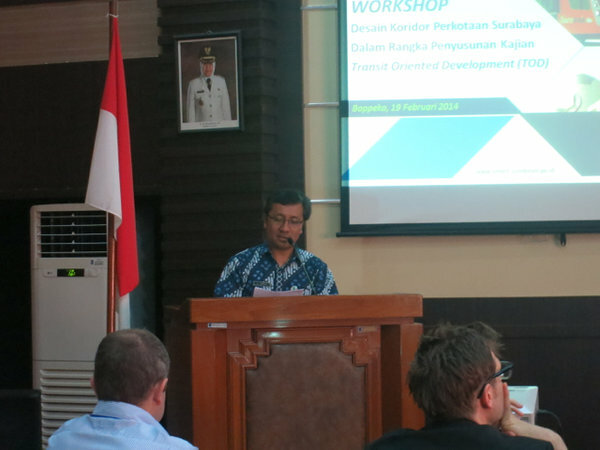 Each workshop opened with introductions by the Head of Bappeko, World Bank, key government officials and technical experts. 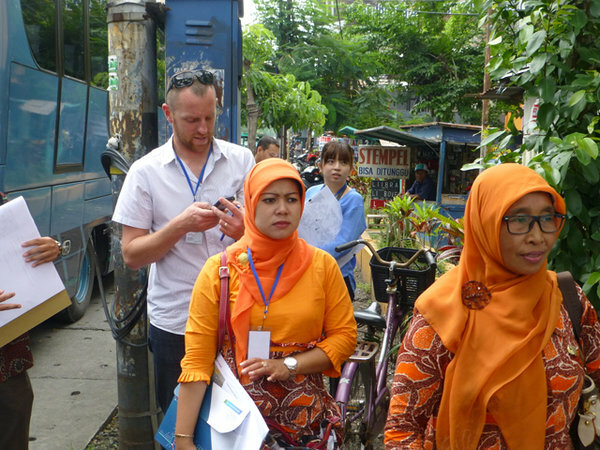 Participants visited study site locations together so everyone would have a shared, fresh perspective of the current on-ground situation. 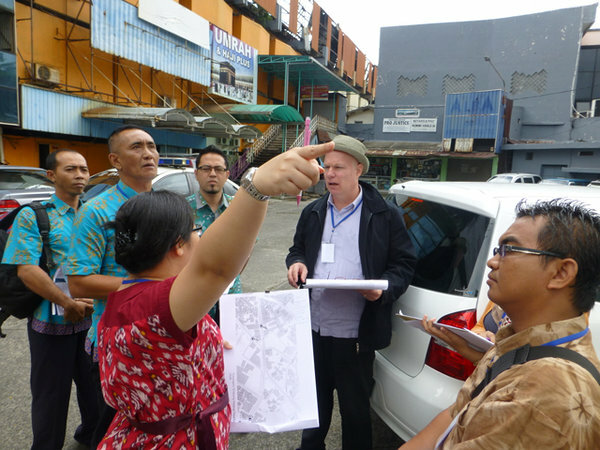 In each location participants walked around and explored the site with their other group members and clipboard of maps for capturing notes and ideas. 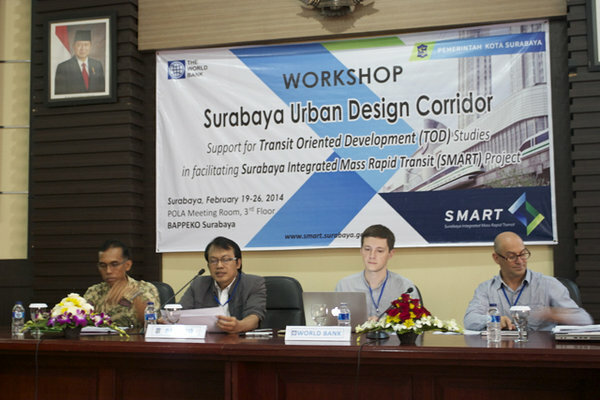 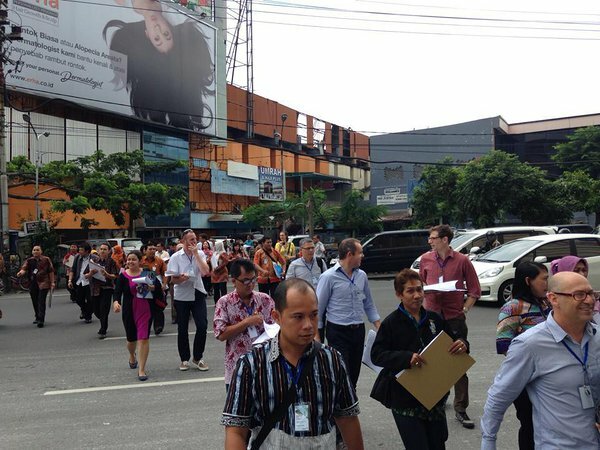 Site visits in Surabaya were to five locations proposed by city government officials as key areas for tramway development. 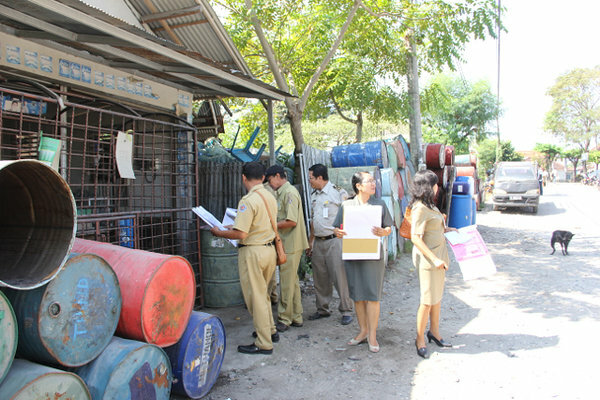 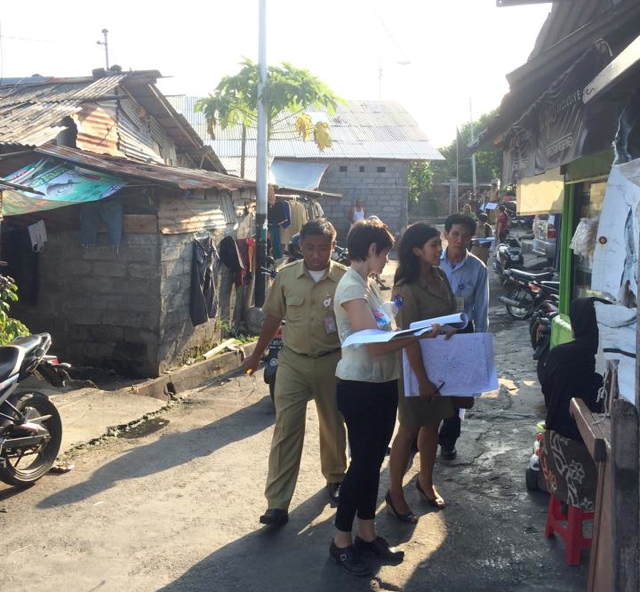 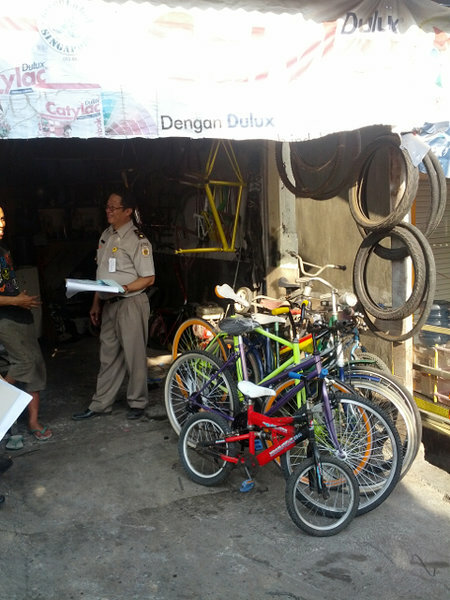 Site visits in Denpasar were to three locations selected by city government officials to address different aspects of slum settlements. 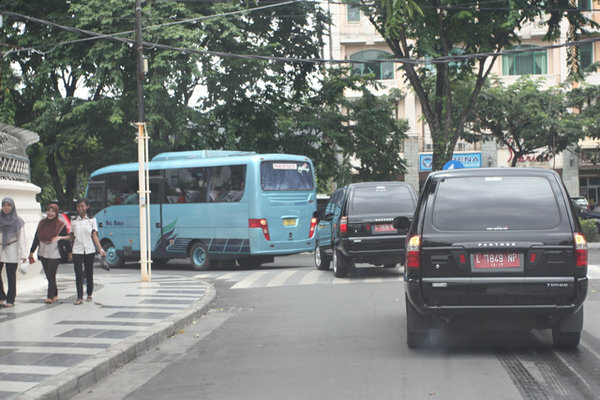 Due to congested traffic, police escorts were provided by the cities' transportation departments to the group of 50-60 participants to visit all sites within a day. 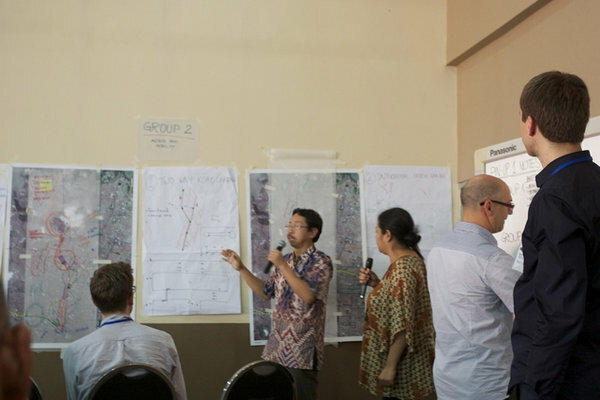 Participants were split into groups by themes, with a technical expert assigned to facilitate each group. 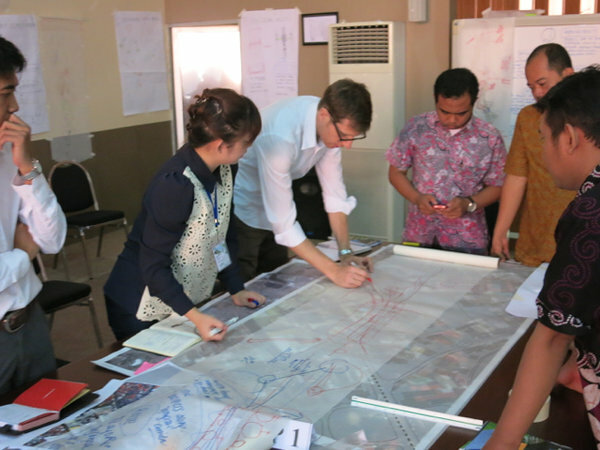 Groups worked through different challenges, moving from macro to more micro scales. 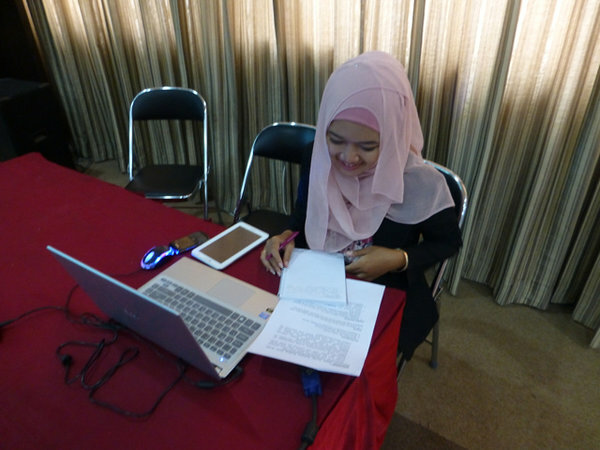 After each working period, a group representative would present their ideas to all participants in pin-up sessions. 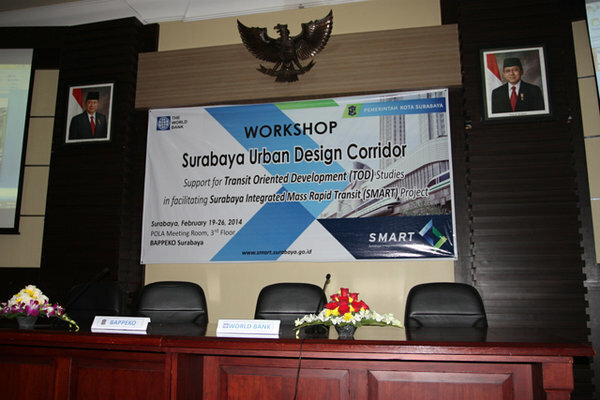 In Surabaya the corridor design process was continued after the workshop in co-production by the City Form Lab and Hansen partnership of a more detailed report including a series of urban design, planning, policy and investment proposals for the corridor and five key sub-areas, with an accompanying action plan focused on the short, medium and long-term implementation. 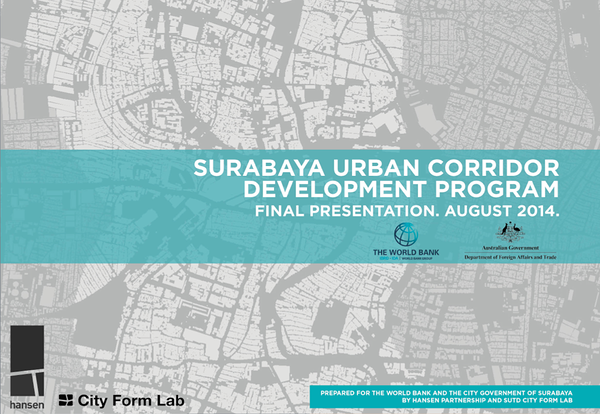 The Surabaya Engagement, Corridor Report and associated CPL work helped to mobilize a USD $300M Surabaya Urban Corridor Development Program loan with the City from the World Bank. 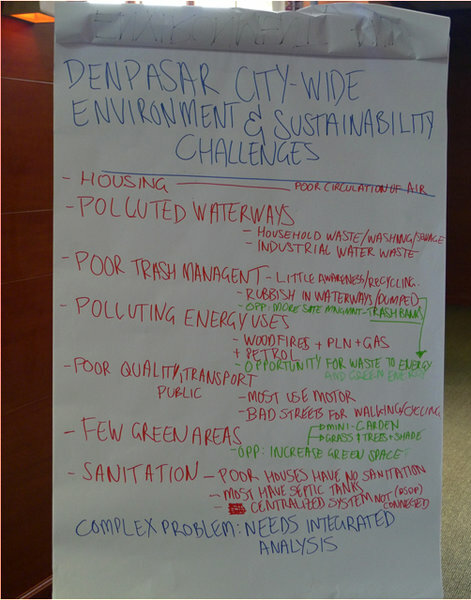 Four key concerns affecting slum settlements across Denpasar were identified through the workshop: Land Tenure & Migration, Sanitation, Access to Services and Local Economy. 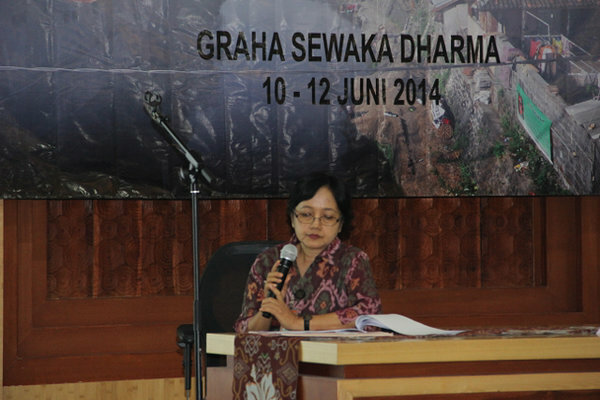 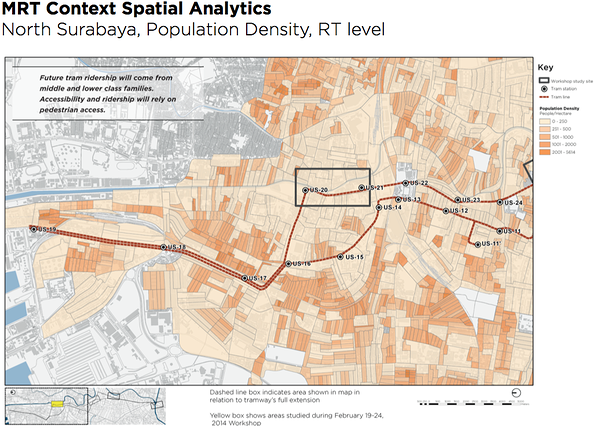 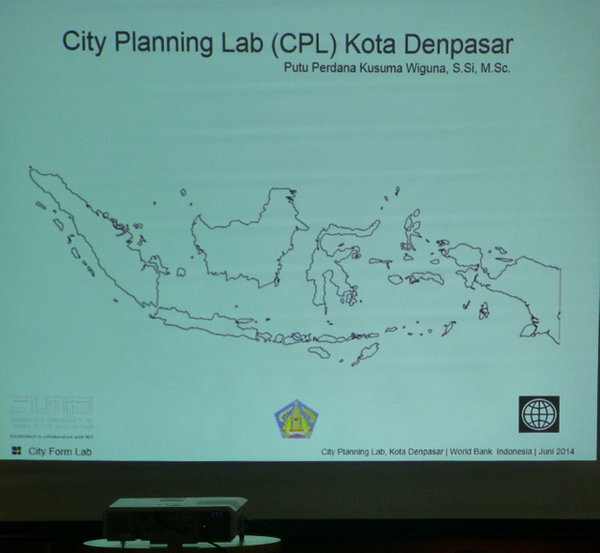 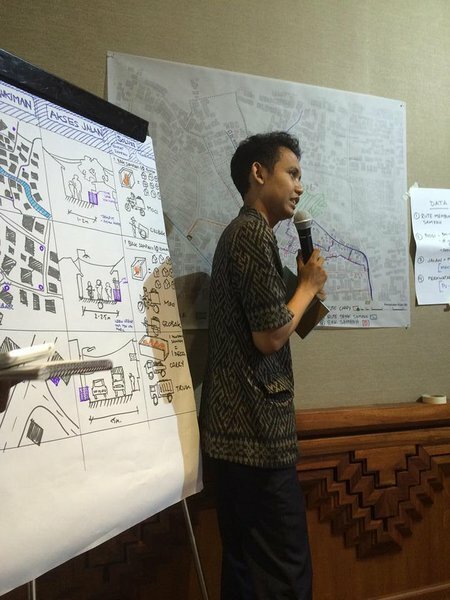 These concerns have shaped preliminary plans for data collection and analyses conducted by CPL at both site and city scales, as described further in the report “Slum Settlements and Housing in Denpasar: Data Management for Policy Making; Workshop proceedings and suggested CPL Workplan”, August 2014.